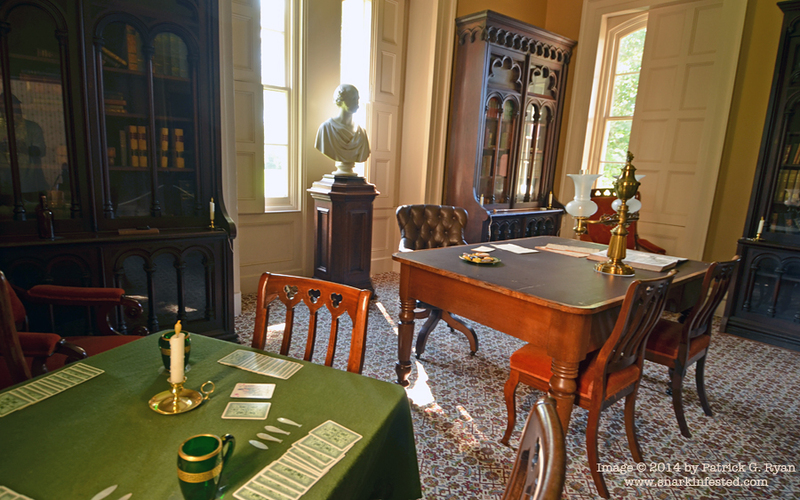 08/29/14 The library in Lindenwald, home of President Martin Van Buren in Old Kinderhook, NY. re: the term “OK” . . . the oldest written references result from its use as a slogan by the Democratic party during the American Presidential election of 1840. Their candidate, President Martin Van Buren, was nicknamed ‘Old Kinderhook’ (after his birthplace in New York State), and his supporters formed the ‘OK Club’.